WBLS in conjunction with station HOT 97 and NY Cares conducted a Coat Drive marathon in December 2017, to collect coats for needy New Yorkers to give out during the holiday season. The stations conducted live call-ins and provided Street Team Presence and a DJ at the Mall at Bay Plaza, where the station provided entertainment and asked people to join in helping making someone’s holiday brighter and warmer. The event was supported in promotional time valued at $100,000 worth of recorded promos, calendars, and live mentions (per station). WBLS and HOT 97 conducted a 4 hour live event where DJs and hosts met with the crowd and thanked them as they donated coats. The event was promoted on the WBLS.com and HOT97.com’s website. Email blasts were sent to the stations’ on-line community and social media portals to encourage the community to come out. A total of 100 hours of staff time was used to organize and conduct the event including several key personnel personally participating in the event. A total of 500 coats were donated. The week leading into the Christmas holiday, NASH FM 94.7 brings out all on-air personalities, to dedicate one day together with our listeners. The entire station was devoted to awareness of the Children’s Miracle Network. The station, shared stories about the families affected, discussed items needed with ‘live on the air’ requests to help make a difference in the lives of the children who need it most. The station asked listeners to donate money to this important cause. The NASH FM 94.7 studios are decorated for the holidays, families were invited to come to the studios, share their stories, enjoy holiday food and drinks, giveaways and meet the country artists that stop by in support with a live performance at this great, spirited event, high atop Madison Square Garden. Santa Claus was also on hand to greet the families. NASH FM 94.7 also hosts “Monthly Miracle Auctions”, throughout the year, donating experiences to an online auction, leading up to the holidays, as well as “Miracle Mondays” and “Giving Tuesdays”, leading into Thanksgiving, all to continue to keep the spirit alive for the opportunity and effort toward fundraising dollars in support of Children’s Miracle Network. This event is a big initiative for the station and we are very proud to be a part of such a wonderful day for Children’s Miracle Network. This winter, WFUV’s Strike a Chord public service awareness campaign turned its attention to organizations working with the foster care system in the New York metropolitan region. The campaign spotlighted 14 organizations that work to support children in the system, and families or individuals who want to get involved with fostering or mentoring children. In addition to public service announcements that aired for a month, the campaign included news stories by WFUV reporters covering a variety of issues, from the trauma kids in foster care often experience to the challenges they can face pursuing higher education. About 1 in 8 U.S. women (roughly 12.4%) will develop invasive breast cancer over the course of her lifetime according to national statistics. The station devoted programming and helped promote the American Cancer Society’s annual “Making Strides Against Breast Cancer” walks begin across the area on October 15th, 2017.
the surrounding community for scholarship assistance and also is known for opening doors to those who “haven’t recovered from the devastating economic downturn”. The station worked closely with the “Y” to promote its events and raise scholarship funds. The Bowery Mission has served homeless and hungry New Yorkers since 1879. The Bowery Mission is called to minister to men, women, and children caught in the cycles of poverty, hopelessness, addiction and abuse, and to see their lives positively transformed through the power of Jesus Christ, including hundreds of children previously at-risk of falling behind. – 70,000 homeless and hungry men, women and children during November and 8,000 meals on Thanksgiving Day alone. – 42,000 homeless and hungry men, women and children a hot, nutritious meal at Easter! – Raised nearly $25,000 from WMCA listeners via on-air donor campaigns. Both campaigns surpassed the set goals. Campaigns elements included a week of pre-push spots, followed by two days when the Bowery messages blanketed the station. The station conducted long-form interviews with Bowery Mission representatives and digital and social media elements were also part of the campaign. The station and the Bridge Network ran an on-air and on-line PSA campaign in an effort to assist with relief for the residents of Puerto Rico, who were victims of hurricane Maria. 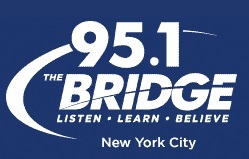 The Bridge Radio provided information on how listeners in New York City, the Catskills and Hudson Valley, could make monetary donations, or locate a local collection site, which included multiple Calvary Chapel Churches in throughout New York. The collected items, which included more than 40,000 pounds of non- perishable food, water and paper products, along with monetary donations, were shipped to the designated distribution location of Calvary Chapel in Guaynabo, Puerto Rico. Throughout the year the stations brings the team of “A Tu Lado,” the stations consumer affairs unit, to area throughout the community to with any cases they may have. We partner with non-for-profit to go to their sites and be able to talk to the people and discuss their issues. The Unidad 41 van is parked in front of the location. This helps people identify that our team is there. Then we set up a table and some banners in the lobby where people can talk with our team. The station promotes its community outreach and problem solving on the air, reaching millions throughout the New York City metro area. CBS 2 and WLNY 10/55 teamed up with the Ad Council to support Project Yellow Light. This is an annual PSA scholarship competition for high school juniors and seniors and undergraduate college students that seek to prevent distracted driving. The project was created by the family of Hunter Garner to honor his memory after his death in a car crash at age 16. The station’s Emmy Award-winning traffic reporter and anchor supported this initiative by raising awareness about the dangers of distracted driving. The station shared information about the campaign in PSAs, on-air mentions, in studio interviews and on social media. The winning submissions will be announced in Times Square on June 8th and distributed as PSAs on television, billboards, and radio stations across the country. 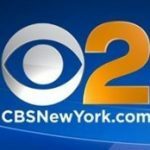 On Saturday, April 28 NBC 4 New York / WNBC was joined by sister station Telemundo 47 / WNJU in hosting Feeding Our Families (or Alimentando a Nuestras Familias in Spanish), a massive, Tri-State food drive designed to help local families and food banks replenish important non-perishable supplies – all to sustain important anti-hunger efforts. This event has become one of the largest, single day, multi-state food drives in the Northeast and benefited eight regional food banks in New York, New Jersey and Connecticut. With food banks facing their greatest need between the months of January and August, NBC 4 brought together 254 individual Stop & Shop store locations to serve as local collection sites and helped recruit more than 1,000 volunteers to support this mammoth effort. Both stations also sent on-air talent to Stop & Shop locations across the region to thank volunteers and encourage giving. 2017 was the first year of the drive and in that year, 900,000 meals were generated and more than 120 tons of non-perishable goods for collected for local families in need. This year, those totals were shattered with 1.9 million meals generated and over 240 tons of non-perishables collected – enough to fill six tractor trailers. Feeding our Families is one of WNBC’s most successful community events. Their anchors, reporters and employees have shown a clear commitment to fighting hunger and making a difference. FOX 5 supported the work of Birch Family Services and helped raise awareness about the organization’s outstanding efforts in providing the finest education, habilitation, and residential services to people with autism and other developmental disabilities. Birch Family Services was recently featured on the station’s public affairs show “Good Day Street Talk” during Autism Awareness Month, as well as the FOX 5 News special “Autism: Life On the Spectrum.” In addition, FOX 5 has supported the organization’s fundraising efforts during their annual Spring Gala by contributing giveaways and studio tours. FOX 5 is honored to continue to work with Birch Family Services in educating the public on the issue of Autism and the impact it has, not only on the individual, but on the family as well! On Saturday March 24th The 98.7 ESPN Team broadcast the 45th Annual FDNY vs NYPD Hockey game from Madison Square Garden. This is a game that is important to both The FDNY and NYPD as it is a matter of pride and supports some important charities. For the first time this game was broadcast on air and the station had two of the best doing it on the call in Don LaGreca and Rick DiPietro. Going into this game equipped with only a handful of knowledge on both of these teams….Don and Rick showed just how great they are on air with how they called this exciting game yesterday which went to a shoot-out. The station had incredible support leading up to the broadcast. In addition to the partnership with the NYPD, FDNY, and Madison Square Garden, there were some incredible on site guests in Rangers legend Adam Graves, NYPD Commissioner James O’Neill, and 9/11 First Responder Robert Serra who had played in this game for a number of seasons before health issues took their toll. December is a busy month for the staff of Radio 103.9. The stations trucks are out delivering presents, decorations, food and holiday items to various soup kitchens, homeless shelters, churches, families in need, organizations that help babies born into poverty stricken families and organizations for our US Military. Our concept is to ‘bring the holidays to those in need’ with all the holiday trimmings, all courtesy of Cumulus Media! This year Radio 103.9 expanded the program and developed a partnership with Fostering Change for Children and designed a private holiday party, specifically for children in foster homes. The station invited a group of 20 children to the radio station, with their social workers and care takers to provide them with a holiday experience to remember. The children came out prior to our live studio audience and were greeted by Radio 103.9 on –air personalities who spoke to the children about what it’s like to be in the radio business. It was a motivational speech to the kids to ‘follow their dreams’ following the theme ‘anything is possible’! The kids enjoyed time on stage with an open Q&A discussing their goals and dreams with the staff of Radio 103.9. Each child was asked to submit a wish list of items that they would like for Christmas and Radio 103.9 provided 2-3 of the items on their Christmas wish list, distributed by Santa Claus! It was a very special day/evening for the children to experience a radio station, at its best, with a live performance in an intimate setting, by Empire Recording Artist, MAJOR, The Rakeim Walker Project and DJ Gully and headliner SISQO!